thrive best in a damp, sheltered site. 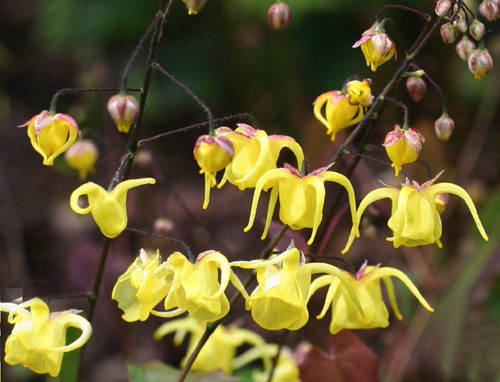 Epimedium is a plant for late springtime and many cultivars are prized as much for their new leaf growth as for their flowers which really do need to be examined closely in order to appreciate their intricate beauty. available has significantly increased. 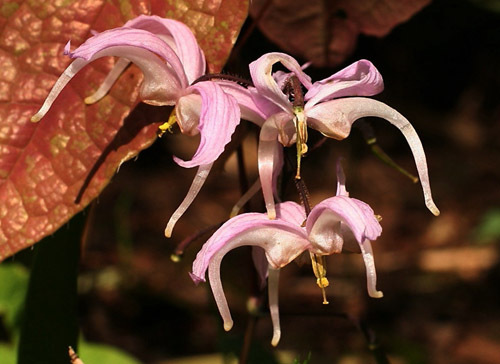 This is largely a consequence of much better access to China and to the endeavours of a number of plant collectors including Roy Lancaster, Mikinori Ogisu, and Darrell Probst. 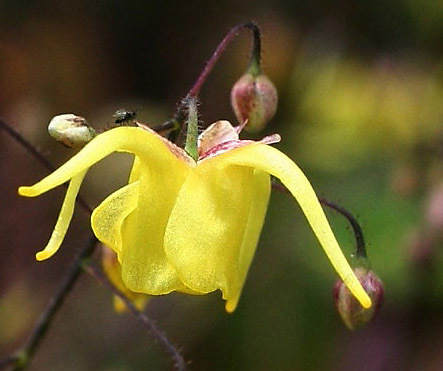 The number has been helped along by the readiness of Epimedium species to hybridise with each other when brought into captivity. All of this has led to the current upsurge of interest in the genus in many countries worldwide. Illustrated here are two of the relatively recent introductions which I grow, together with one of my favourite hybrid cultivars ... to date. First collected by Père David in 1889. However, the clone commonly distributed was collected in 1985 by Martyn Rix and grown at the Washfield Nursery of Elizabeth Strangman. I obtained my plant from Robin White's Blackthorn Nursery ... two very influential nurseries now sadly no more. 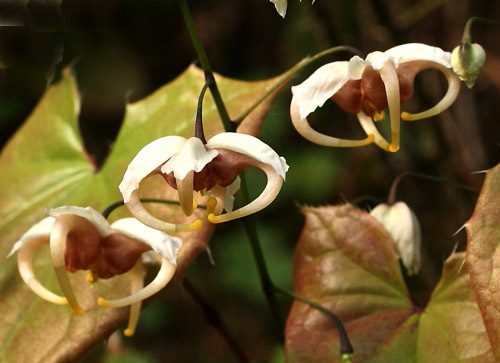 Robin White was one of the first plantsmen to make available a wide range of Epimedium in the U.K.
Another species which was discovered in Sichuan Province in the late nineteenth century but was not introduced into cultivation until much later. I find it quite slow growing but well worth it.